Discount available! 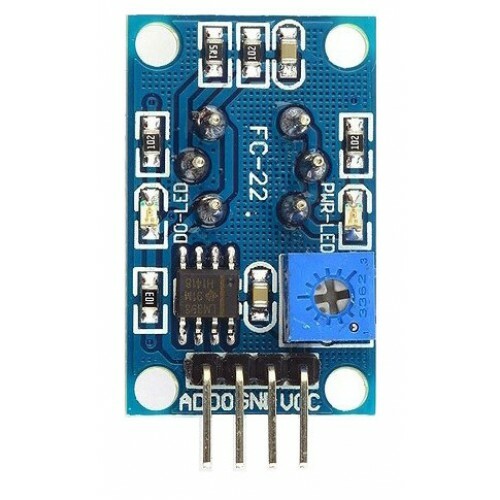 Recommend Gas Sensor MQ-131 Ozone Module to your friends and get your Discount. Compact board based on the MQ-131 sensor. 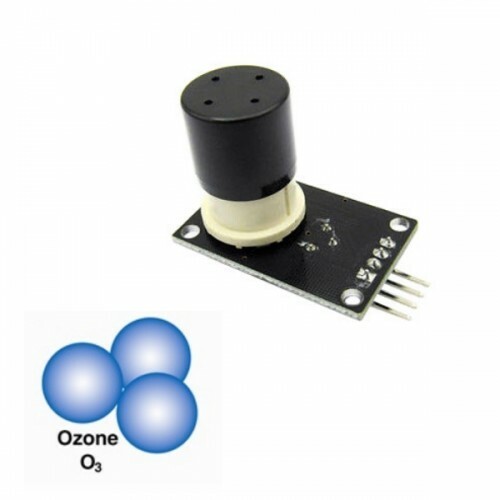 Equipped with a high sensitivity and a very fast response time, this sensor is able to detect the ozone concentration (10～1000ppb) in ambient air. The sensor's sensitive material is tin dioxide (SnO2), which has a low conductivity, when the air is clean in the environment, while it is higher in the presence of ozone. The board has a trimmer to set the threshold value, analogue output and digital output (TTL), status LED for power supply and output signal. The digital output can be connected directly to a microcontroller. The analogue output provides a voltage (0-5 VDC) that increases with increasing ozone concentration in the air. Power supply: 5 VDC, dimensions (mm): 31.85x19.65x33. 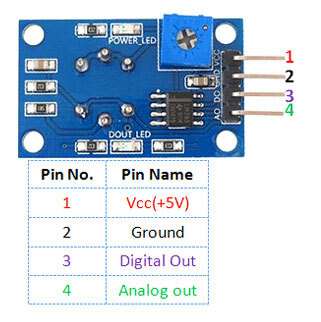 It can be used with Arduino or other microcontroller. The ozone (chemical formula: O3), it is s a pale blue gas with a distinctively pungent smell. It is an allotrope of oxygen that is much less stable than the diatomic allotrope O2, breaking down in the lower atmosphere to O2 or dioxygen. Ozone is formed from dioxygen by the action of ultraviolet light (UV) and electrical discharges within the Earth's atmosphere. It is present in very low concentrations throughout the latter, with its highest concentration high in the ozone layer of the stratosphere, which absorbs most of the Sun's ultraviolet (UV) radiation. Ozone's odour is reminiscent of chlorine, and detectable by many people at concentrations of as little as 0.1 ppm in air. Ozone's O3 structure was determined in 1865. The molecule was later proven to have a bent structure and to be diamagnetic. In standard conditions, ozone is a pale blue gas that condenses at progressively cryogenic temperatures to a dark blue liquid and finally a violet-black solid. Ozone's instability with regard to more common dioxygen is such that both concentrated gas and liquid ozone may decompose explosively at elevated temperatures or fast warming to the boiling point. It is therefore used commercially only in low concentrations. Ozone is a powerful oxidant (far more so than dioxygen) and has many industrial and consumer applications related to oxidation. This same high oxidising potential, however, causes ozone to damage mucous and respiratory tissues in animals, and also tissues in plants, above concentrations of about 100 ppb. While this makes ozone a potent respiratory hazard and pollutant near ground level, a higher concentration in the ozone layer (from two to eight ppm) is beneficial, preventing damaging UV light from reaching the Earth's surface. Fishino UNO is an Arduino compatible development board with WiFi, microSD cards reader and RTC on bo..